I’m thrilled to be partnering with Calgary jewellery designer, Kate Hewko, once again for an exclusive pop-up where we'll shop, sip, schmooze and celebrate Alberta fashion at Edmonton's biggest supporter of Alberta fashion – Bamboo Ballroom. Hewko's signature collections harness powers both mystical and tribal with substantial raw stones left in their natural beauty. Janis of Dress Me Dearly will play hostess for the night, sharing style tips and her favourite Kate Hewko picks. And just for you Edmonton – you get to shop Kate Hewko's newest collections at 25% off for one-night only! 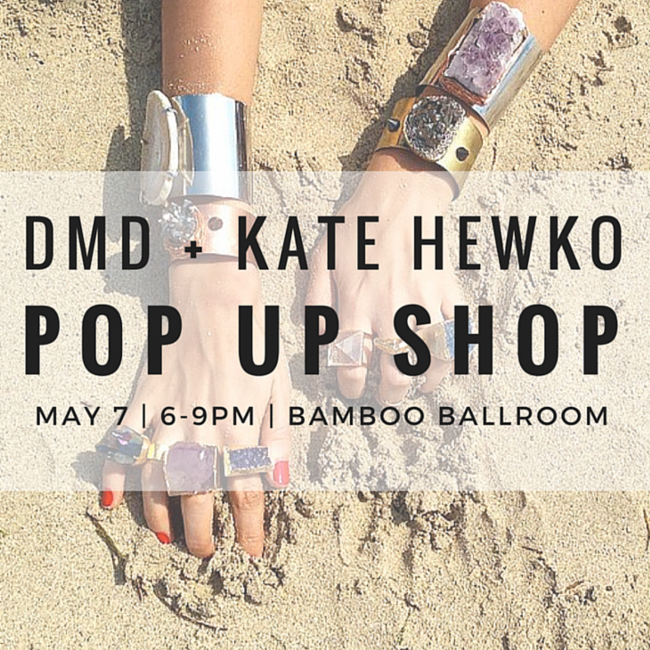 Join us on May 7th to preview Hewko’s newest designs, shop, sip and schmooze – ain’t no party like a Bamboo Ballroom party!